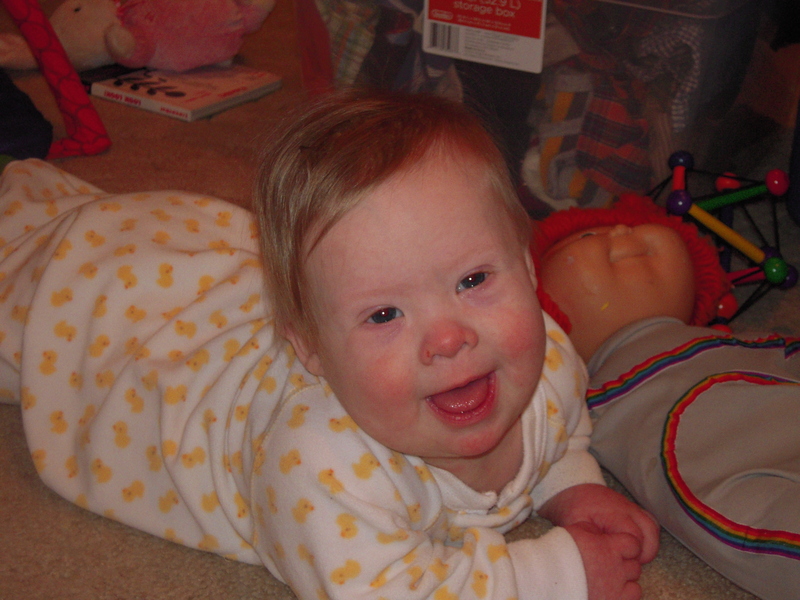 Today’s fact: Teething may be delayed in babies with Down syndrome, and when the teeth do come in, they come in randomly. I love his little happy face. Ezra and Iris were on a SERIOUS BENDER of 5 or 5:30am wake-ups. Once it was even 4:45am and I almost Hulked out. But! Things have turned the corner and I hope they do for you as well. That’s weird about their teeth. I’ll be interested to see the order his grow in.